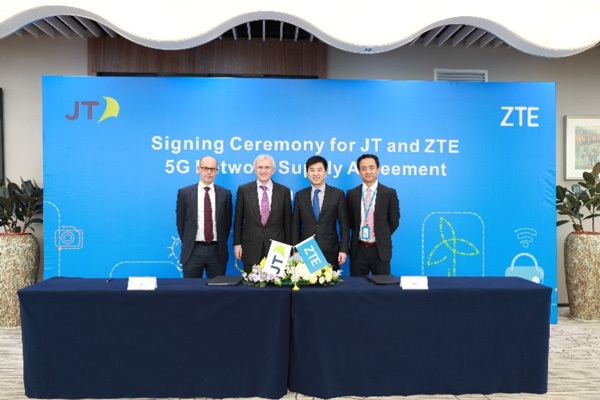 Just 4 years on from the successful deployment of its 4G network JT is again partnering with ZTE to create a new 5G mobile network for our Islands. The deal was signed on Tuesday in Shenzhen, China, during an official Jersey trade delegation to further develop the Islands’ business links with Asia. 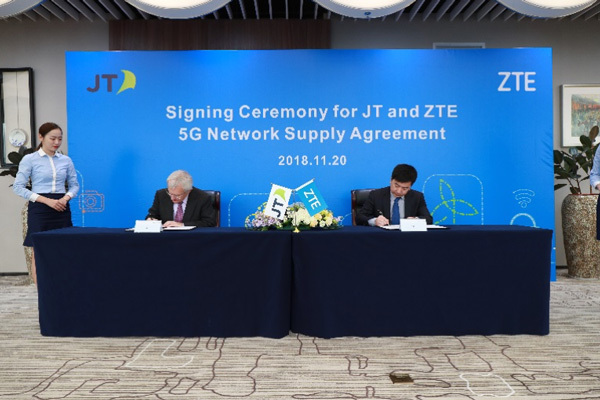 Now contracts are signed, JT will begin work with ZTE on this new network aiming to launch a test service during 2019, subject to CICRA licensing spectrum. 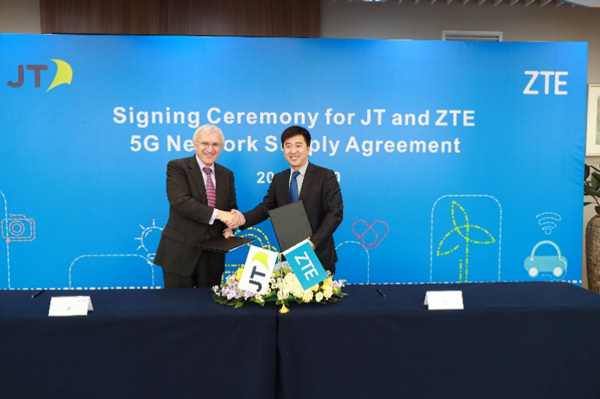 Whilst the 5G standard is not complete yet, JT aims to roll out incremental improvements as standards solidify and expects to offer a Channel Island wide service by 2021. 5G enables download speeds up to 10x faster than today’s speeds, together with the ability to connect many more devices. In time it will play a key part in supporting our Islands’ role as an Internet of Things ‘Digital Sandbox’. JT forecast that, in addition to thousands of IoT devices, by 2023 10% of Islanders will have 5G enabled devices. Graeme Millar, JT CEO said: “Our goal is to build the best networks we possibly can for islanders to enjoy. We aspire to build on our island’s world beating fibre network and now offer Channel Islanders the best 5G service in the world. Our role is to support our customers, providing them the technology to do whatever they want. By building these information super highways we make this possible. ZTE are the ideal partner, who’ve supported us already with our 4G network. We know customers appreciate its speed and quality. Indeed, our ZTE 4G network has been ranked as the fastest in the CI by global assessor Ookla for the last three years running. We expect more of the same from our Islands’ new 5G network. We’re committed to ensuring customers continue to enjoy the best connectivity in the world by both wire and air: the journey moving from 4G to 5G will be similar to the revolution from copper to fibre. Whilst it will be a complex project involving the complete upgrade of our mobile network, new customer handsets and other changes, we believe we are ideally placed to help our customers experience the benefits this technology offers. Issued by James Filleul at Direct Input. Telephone 01534 735253 or email james@directinput.je for more information. To find out more about 5G visit www.jtglobal.com/5G and to find out more about Ookla’s global speed test rankings visit www.jtglobal.com/fastestnetwork.